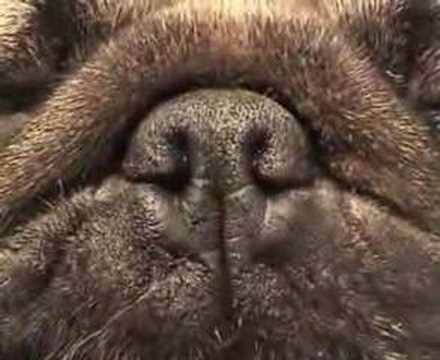 The most common indication of surgery of the upper airways is for the treatment of Brachycephalic Obstructive Airway Syndrome (BOAS). In dogs with BOAS, primary upper airway abnormalities such as stenotic nares, an elongated soft palate and abnormal nasopharyngeal turbinates result in obstruction, increased resistance to air flow and negative pressure in the upper airways. The increased inspiratory effort required to overcome this resistance to airflow eventually results in secondary complications including everted laryngeal saccules, laryngeal collapse, heart failure and non-cardiogenic pulmonary oedema. 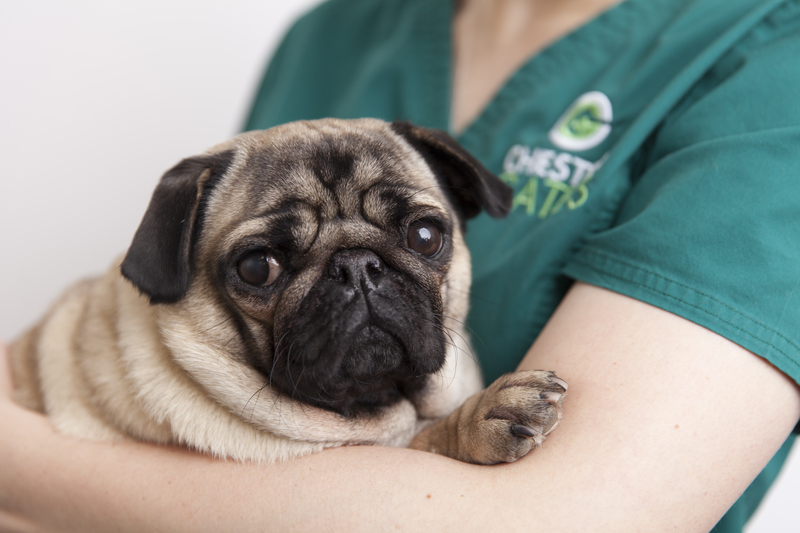 Please feel free to contact ChesterGates Veterinary Specialists if you require any advice on managing your Brachycephalic Obstruction Airway Syndrome cases. Diagnosis is made on the basis of breed, history and clinical examination. Unfortunately, only the nares can be properly assessed without a general anaesthetic. There are a number of investigations that may be required, depending on the findings of the initial physical examination. Blood tests including blood gas analysis should be performed to determine the general health status of the patient. Secondary cardiac failure can occur therefore further examination of the heart with electrocardiography, radiographs and echocardiography may be required. 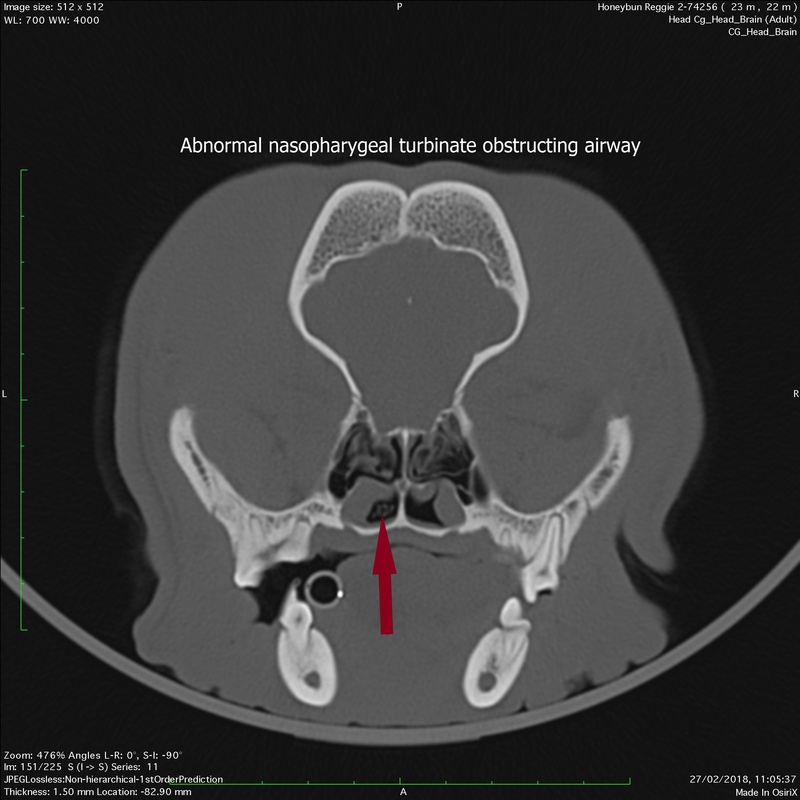 Radiography/CT of the head/thorax is used to assess the length of the soft palate, presence of aberrant nasopharyngeal turbinates as well as to evaluate the lower airways and thoracic cavity. In addition endoscopy of the upper gastro-intestinal or respiratory tract may be required. A definitive diagnosis is made on direct visual assessment of the airway under light general anaesthesia. Surgical treatment is often performed under the same anaesthetic, which reduces the risks during the recovery phase. Surgical management usually includes a naroplasty, staphylectomy and laryngeal sacculectomy; however management of laryngeal collapse may require a permanent tracheostomy, partial laryngectomy/aryteniodectomy or cricoarytenoid lateralisation procedure.